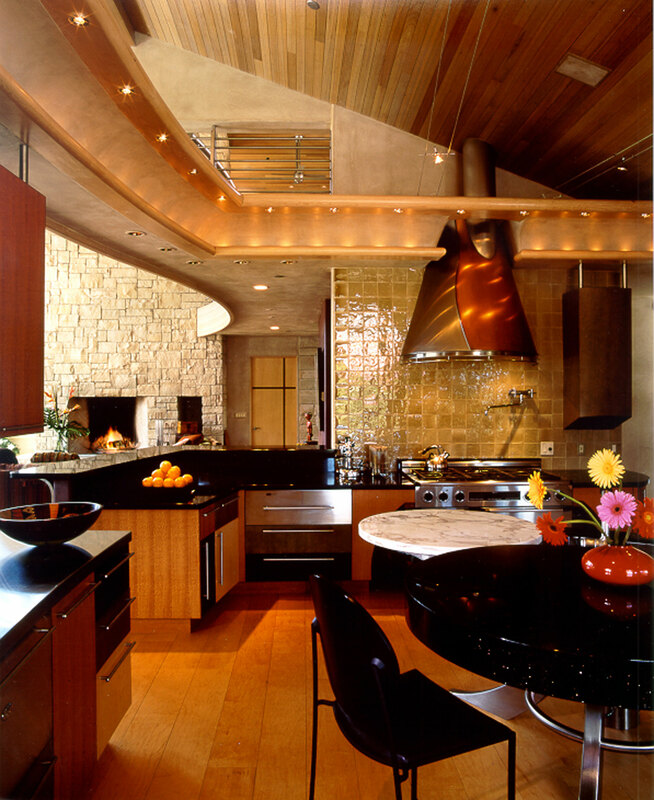 The owners challenged the architectural firm to design a contemporary home that was stylistically progressive, yet would be approved by neighbors and the town planners. They had a growing contemporary art collection that needed a backdrop. The further we got into the design process, it became apparent to all that this house would not look like anything in the valley. The setting is amazing; a prominent hilltop site with sweeping 270-degree views of the historic town, three ski areas and the valley below. The windy, south facing slope has excellent solar exposure. This slope allowed us to enter the main living spaces from the top of the site, and then flow outside, down a series of formally sculpted terraces to the gardens below. 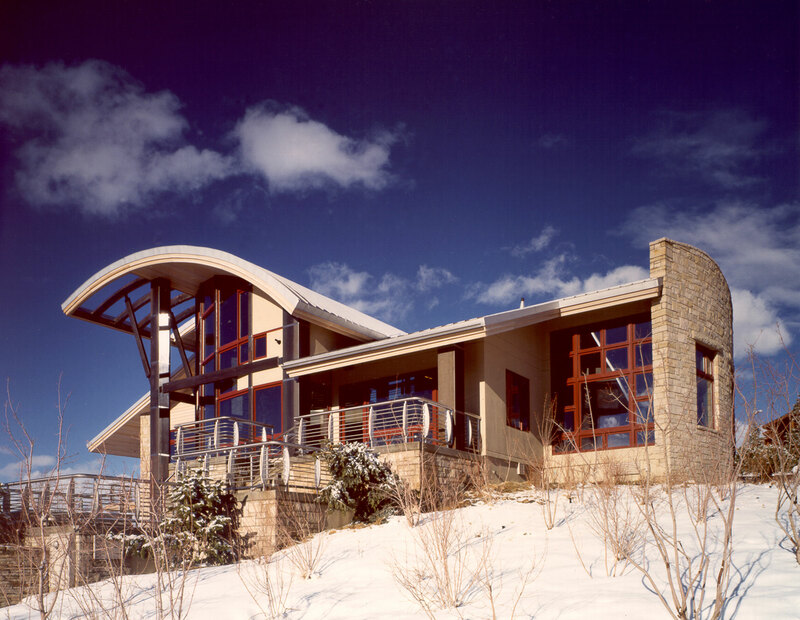 The barrel-vaulted roof, which cantilevers over the curved wall of the great room, is the signature element of the architecture. Subtly curved stonewalls ‘book-end’ the house on three sides and contrast with the angular nature of the plan. The three story exterior steel column makes a bold statement about the buildings’ structure and enclosure. 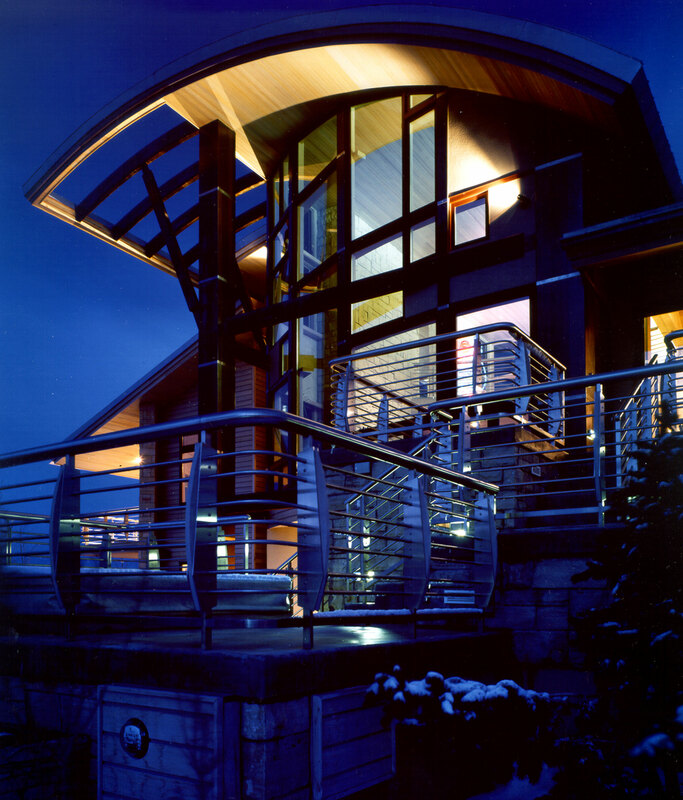 The steel contrasts sharply with the subtle textures and colors of other exterior materials. The entry experience sets the tone for the house with a ten-foot wall of glass at the foyer, facing the views. 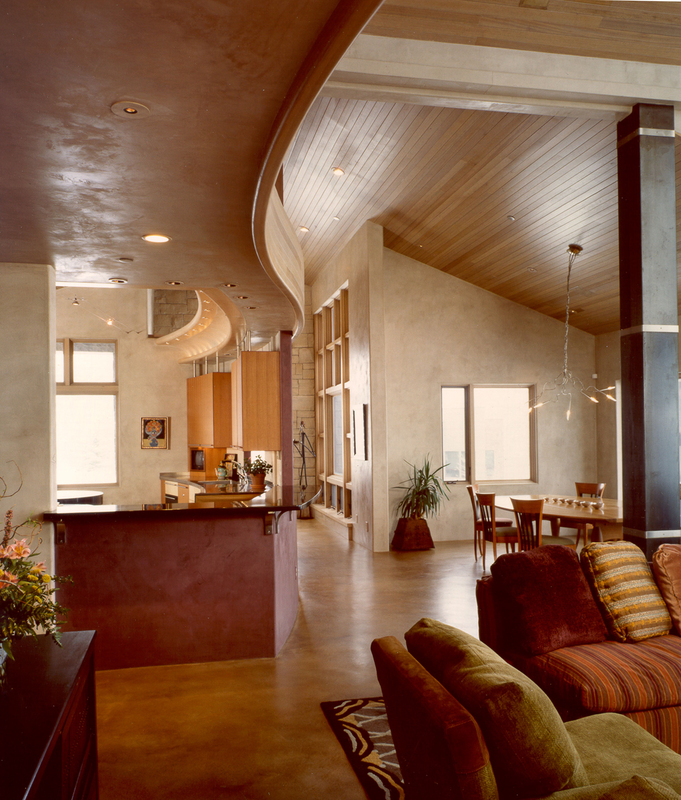 A sensuous curved wall draws one into the great room, past the kitchen and formal dining room. 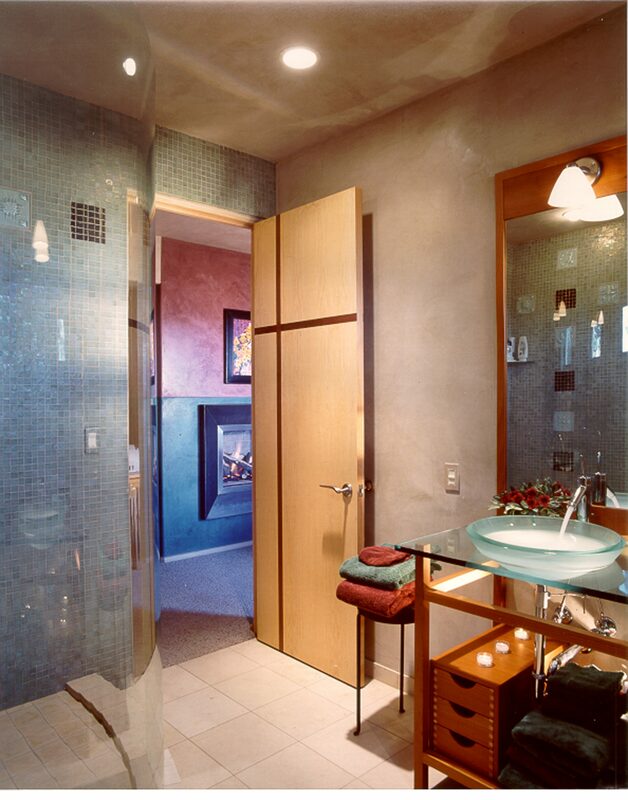 The looming fireplace draws ones eye into the space where the two-story glass wall captures your attention. The window itself is an impressive artistic feature, recalling Mondrian. 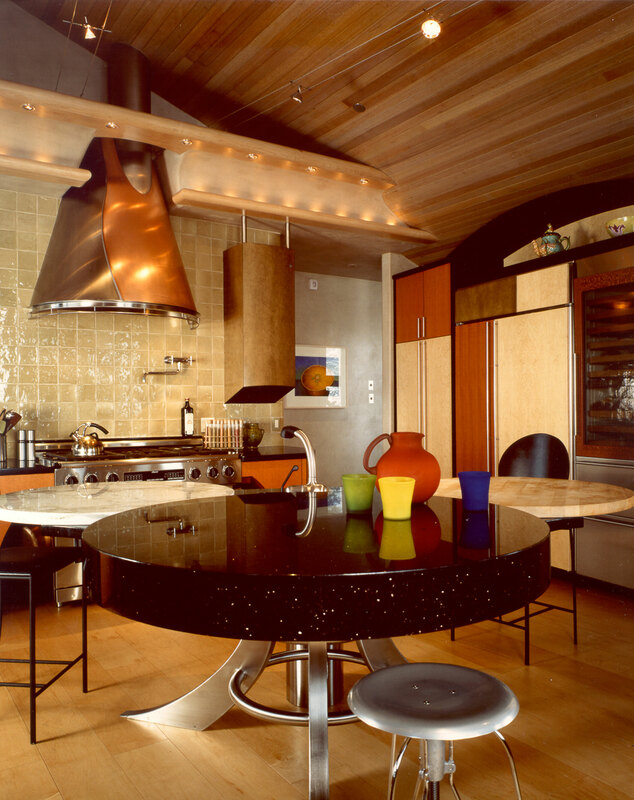 Beautiful inlaid hardwood cabinets set off by concrete tops and metal work establish the kitchen as a work of art. 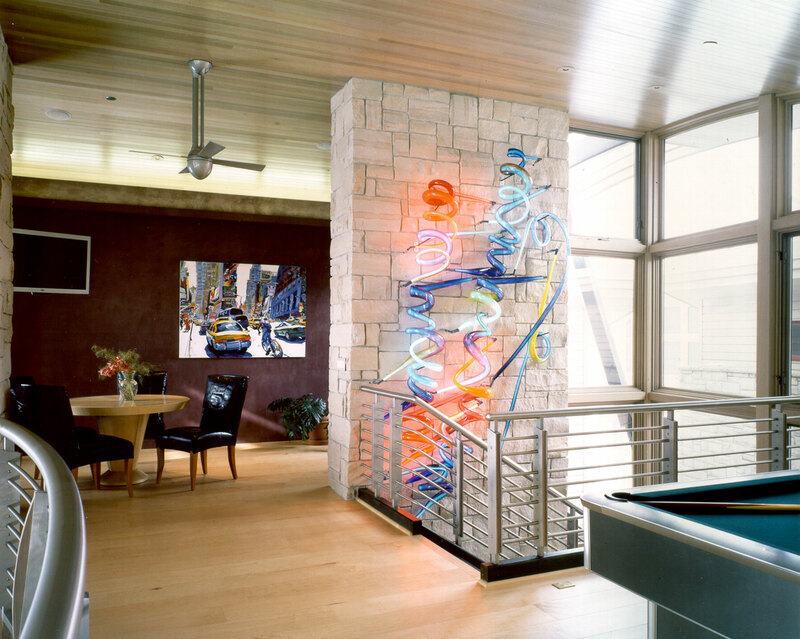 The lighting concept was to accent the design with one of a kind modern fixtures; art objects in themselves. 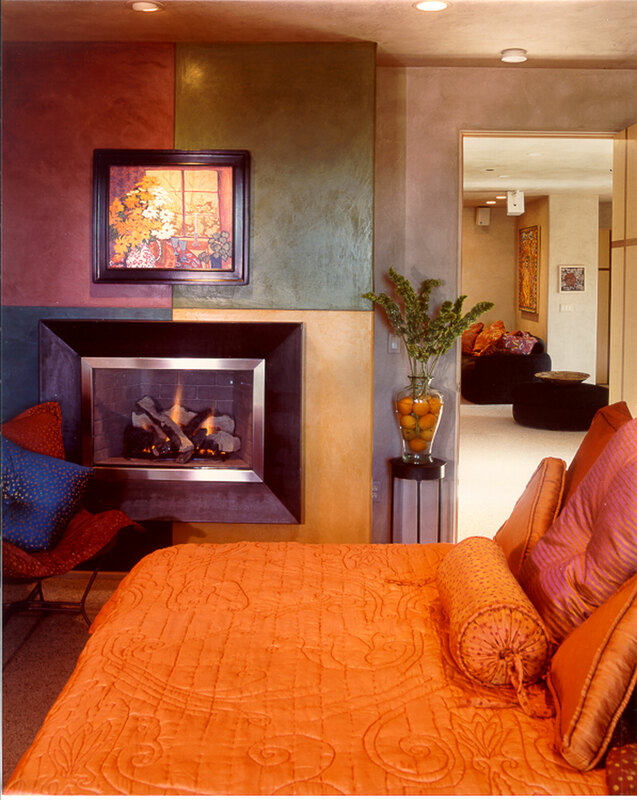 Having been recognized as “one of the finest examples of modern architecture in the state”, this home seems to have met the challenges set forth not only by the owner, but its environment.